This page collects together pre and post launch information, along with reviews and any ongoing updates, such as new firmware. 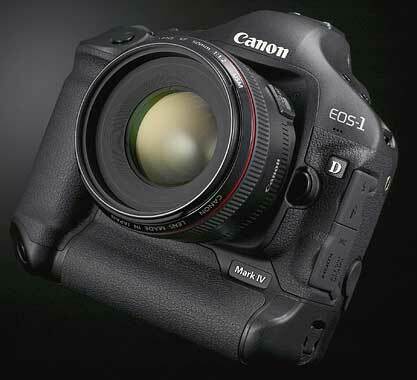 Canon SA Youtube video from Canon South Africa about 7D and 1D4 well worth viewing. Enables the center AF point to autofocus when the camera is used with the EF 200-400mm F4L USM Extender 1.4X lens and an Extender, whose combined maximum aperture is f/8. Fixes a phenomenon in which abnormal images may result when continuous shooting mode is enabled and the image size is set to “RAW” or “RAW+JPEG. 1. Optimizes the camera’s exposure accuracy when using EF 24mm f/2.8 IS USM and EF 28mm f/2.8 IS USM lenses, which are scheduled for release in June 2012. – Improves writing/reading speeds when using UDMA 7-compatible CF cards. When the camera’s battery is removed and reinserted into the camera and the user immediately attempts to start shooting movies. – Corrects misspellings in the menu screens displayed in Arabic and Portuguese languages (applies to models outside of the the Japanese market only). 20th DPP updated to v3.9.3 for Windows, to fix an odd 1D4 related glitch. Details on our Canon software page. 11th Whilst we hear rumours of a firmware update, there is as yest no sign of one. 25th Info / reviews updated. 22nd At DPReview there is a lengthy review of the camera. Interesting comments at SportsShooter from the Olympics. 2nd I hear that at one point yesterday, Park Cameras (UK) had 50 in stock… well, 49, since the person who told me [thanks] just had one. 29th Stocks seem to be flowing much better – we’ve had several reports of US suppliers such as Adorama having stock. 19th We hear (thanks) of recent stock in stores in China (~$4800) altough a current shortage pushed the price up to ~$5260. 16th More comments pointing to stock in UK stores. Quite a few UK backorders seem to have been fulfilled in the last few days. 12th Cameras start appearing at more dealers – B&H in the US had some (for a while). 8th A new version of the wireless unit and some sample video from Sydney at New Year. 6th Limited supplies of cameras are starting to appear – we’ve heard of a few smaller stores receiving deliveries and people getting cameras after ringing around. As expected (I should have known better) some of the internet doomsayers have already decided that yesterday’s comment indicates that the 1D4 is no good – I merely took it as indicating that Canon were being careful about quality control. 5th In a sign of how much Canon want early adopters to get a properly working camera, we hear (thanks) of a UK shipment sent for distribution (-not- to customers), but recalled for further testing before being allowed for delivery. 1st Happy new year to everone, and for those waiting for their 1D4 – hope it turns up soon! 27th The Australian photographer in the FM thread below needs somewhere to host all the sample images – we’ve not got the bandwidth here I’m afraid. Any reviews we find, of actual shipping cameras will be added to the list above – we’re expecting a rush of blog posts as people try out their Christmas presents, or look for reasons to avoid visiting relatives. 15th B&H tell a US caller ‘after Christmas’ for the 1D4, whilst a Canadian pro store is saying ‘Early January – at the earliest’. 14th Third week of December arrives and we’ve heard nothing new about shipping. With the winter olympics (start Feb 12th) coming up, I suspect the large photo agencies will have stock before long. 10th 8 days to go? Amazon Japan have the 18th listed as the arrival date. 9th According to some dealer reports we’ve heard, Canon missed their start of December ship date for the first 1D mk4s, which means that sending on to dealers in the second week of December looks shaky, Canon were not giving any new ship date. FYI I’ve now finished several short reports on aspects of the 7D. Also, I hear that a Pro retailer in Canada is saying that Canon is going to give priority on CPS cameras to [Winter] Olympic shooters, and they are checking. Meantime, Canon have lent me a 7D for a few days. I’ll add some more coments to the blog later. We also hear (thanks) of expected deliveries in Switzerland in the second week of December. 28th A Norwegian dealer expects some 1D4 bodies by December 14th. 24th Most quick ‘previews’ being posted (see above). Cameras still very much R&D versions. 22nd We’re told of someone with an order at Amazon.com who’s delivery date has gone for ‘After Christmas’ to December 20th. 12th We’re hearing ‘earlier’ in December for availability and that big customers in Australia have been told to look at Aus$8k for a starting price. 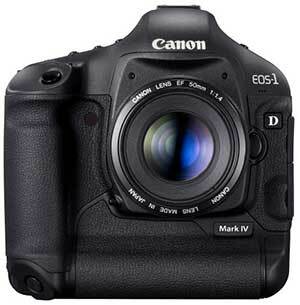 There is also a new Canon Australia price list on its way with significant reductions in the 5D2 and 1Ds3 prices. 11th 1D4 manual is available for download – link above. 6th Several people have wondered about the lack of sample images/reviews. The word from Canon is that the camera is indeed still scheduled for release some 60 days after the announcement, but that until they have production firmware and cameras, they will not be released for editorial review purposes. Well, I got to fire off a burst of shots with a 1D4 at the Canon show in London. Unfortunately, with no card in the camera (taped up) I was unable to test the AF or see what 102k looked like, even after I’d gone into the menus and set it to H3. It’s solidly aimed at people who will use it as a tool for work – that’s the market for it. If you see people on the forums, rich enough to buy one, but complaining about lack of FF or 7D whistles and bells, just remember Canon’s target market. My own opinion (from looking at samples) is 6400 would be fine for a lot of my own commercial work, whilst 12800 reminds me of 1250 on my old 1Ds. 25k, and 52k might do for some, but 102k … well I look forward to trying it with a camera with the final firmware and RAW support. 22nd It seems that Canon have taken exception to unauthorised sample images – all the ones we found have been pulled from sites. 21st More updates added above (marked >), including the useful 1D4 technologies explained section below. 2009 October 20th Camera announced. We’ll add new stuff to this page as we find it. Stable lens drive: In normal operation, the AI Servo algorithm makes calculations, and based on these results, instructs the lens to change focus position. Now, if the algorithm gets two results one after the other that are very different – for example, the subject changed direction rapidly and was not where the system expected it to be – this calculation is ignored and the system waits to instruct the lens until two results match. This means that errors generated no longer cause the lens to jump unexpectedly out of focus. Secure focus tracking of a subject: If an obstacle is detected or if the AF point is not kept over the subject, tracking continues based on the last known trajectory result immediately before the interruption. Moderate lens drive: If there is a radical change in focus distance, the lens is not driven straight to that value. It is slowly taken there based on past prediction results. This means that if a photographer drifts off the subject to the background for an extended period of time, the lens will not snap focus straight to the background. This in turn means that if the photographer gets the AF point back onto the subject that the lens is able to achieve sharp focus much more quickly. Predictive control with quick response: The system is now able to achieve predictive focus immediately as the subject starts moving and there is no delay before it can start tracking. With a completely redesigned 45-point AF system including 39 cross-type points, a new AI Servo II AF focus tracking system with improved algorithm combined with 10 fps continuous shooting, the EOS-1D Mark IV can handle even high-speed situations with ease. An APS-H sized 16.1 Megapixel CMOS Sensor, Dual DIGIC 4 Image Processors, a spectacular ISO range of 100 – 12800 (up to 102400 in H3 mode) with an advanced noise reduction system helps ensure sharp, low-noise images even in low-light situations. Add advanced Live View shooting, Full HD movie recording with selectable frame rates and manual exposure control plus a host of new features that enhance every facet of the shooting process. The EOS-1D Mark IV is the choice of professionals looking for the ultimate in SLR performance. New 45-point Area AF sensor including 39 cross-type AF points with f/2.8 support plus new AI Servo II AF with improved algorithm. ISO 100 – 12800 (expandable to L: 50, H1: 25600, H2: 51200, H3: 102400) for shooting from bright to dim light with low noise levels. EOS HD movie with manual exposure control and multiple frame rates (1080: 30p (29.97) / 24p (23.976) / 25p, 720: 60p (59.94) / 50p, 480: 60p (59.94) / 50p). 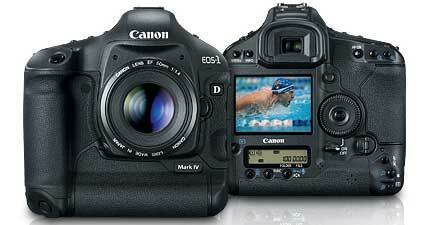 16.1 Megapixel APS-H CMOS sensor and Dual DIGIC 4 Image Processors for high image quality and speed. 10.0 fps continuous shooting up to 121 Large JPEGS or 28 RAW using a UDMA CF card. 3.0-inch ClearView II LCD monitor, 160° viewing angle, 920,000-dot VGA, reflection resistance with multi coating and high-transparency materials for bright and clear viewing. 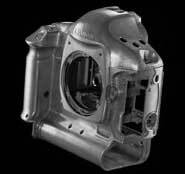 Magnesium alloy body with shutter durability up to 300,000 cycles and exclusive dust- and weather-resistance. Fully compatible with over 50 EF lenses and a wide range of EOS System accessories. The EOS-1D Mark IV has a newly developed, high-precision Area AF sensor with 45 manually selectable points including 39 cross-type, high-precision AF points for exacting and fast focusing no matter the subject. New AI Servo II AF focus tracking features improved algorithms that help improve stability, reliability and focus no matter the situation. Whether shooting a fast-paced soccer game or shooting a close-up of a bee on a wind-blown flower during macro photography, AI Servo II AF helps ensure sharp focus every time. AF point selection has been improved as well. 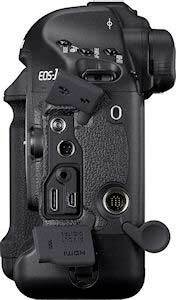 Photographers can select their own point through either the camera’s Multi-controller or Main Dial/Quick Control Dial. Automatic selection is as simple as the press of a button. With Custom functions, photographers can select their own default focus point to automatically switch between horizontal and vertical shooting and can even choose to have primary focus supported by adjacent focus points for more accuracy with moving subjects. London, 20 October 2009 – Canon today announces the launch of the new EOS-1D Mark IV – a high-speed, professional Digital SLR (DSLR) camera designed to empower photographers to capture split-second moments in high resolution, under the most challenging of conditions. Ideal for shooting action, sports, news events and wildlife photography, the Canon EOS-1D Mark IV delivers speed, power and high-resolution images, creating the perfect camera for photographers who require reliability in fast-paced, high-pressure situations. Developed incorporating feedback from professional photographers, the EOS-1D Mark IV features a new Canon 16.1MP APS-H CMOS sensor and a brand new 45-point Auto Focus (AF) system with 39 f/2.8 sensitive cross-type points, providing a wide selection of precise focus areas across the frame. Dual “DIGIC 4” processors provide the power to shoot continuous, high-resolution images at up to 10 frames per second (fps), as well as delivering the widest ISO range ever to feature in a Canon camera. The Canon EOS-1D Mark IV features a completely new 45-point AF system, with 39 f/2.8 sensitive cross-type points located across the frame, providing consistent AF on static or moving subjects, no matter which AF point is being used. All 45 AF points are user selectable and now more sensitive, with the AF points towards the edge of the frame offering identical levels of performance to those in the centre. The entire AF system is managed by a dedicated microprocessor, providing fast, accurate focusing – even when shooting continuously at 10fps. Canon’s newly-evolved AI Servo II AF offers more precision when tracking moving objects, utilising the power provided by the dedicated microprocessor to improve overall tracking accuracy and increasing focus reliability in low-contrast and extremely bright conditions. To provide increased flexibility, a vast range of manual and automatic AF control options are available including – with lenses featuring an AF Stop button – Canon’s new Spot AF feature. Spot AF offers a more precise focus area to meet the needs of photographers that require pinpoint focusing. A 63-zone metering system enables the use of multiple metering modes, with the dedicated sensor linked to the 45 AF points, providing AF point-linked and multiple spot metering options. The EOS-1D Mark IV also features orientation-linked AF points, an orientation sensor controlled feature that enables photographers to store separate AF points for different camera positions. Covering both horizontal and vertical shooting positions (both grip up and grip down), orientation linked AF points offers the flexibility to quickly change camera orientation when shooting with the AF settings switching to suit the subject. AF point registration enables the photographer to store an alternate AF point that can be used at the touch of a button. The combination of a custom-designed, high resolution 16.1MP APS-H CMOS sensor and Dual “DIGIC 4” processors ensures that detailed, crisp images are delivered at high speeds. The inclusion of an APS-H sensor combines a high pixel-count with an effective field of view measuring 1.3x the focal length of the lens. This provides immediate benefits for sports, news and wildlife photojournalists, who operate on-the-move and need to get closer to their subjects and maintain fast apertures without resorting to longer focal-length lenses – which are typically heavier. Continuous shooting is facilitated by the sensor’s eight-channel data read out, which provides a rapid read sequence and makes full use of the Dual “DIGIC 4” processors to enable high-speed 10fps shooting at full 16.1MP resolution, while maintaining image colours through 14-bit analogue to digital (A/D) conversion. The ability to shoot images at 10fps, without any drop in resolution, means the EOS-1D Mark IV features the fastest continuous shooting with Auto Focus currently available from a Canon DSLR. The increased processing capacity of Dual “DIGIC 4” processors manages the increased data created by the 60% rise in image resolution, while still enabling the EOS-1D Mark IV to deliver a continuous burst of up to 121 large JPEGS, or 28 RAW images using a UDMA 6 card – ideal for fast-moving sporting action or news events where scenes are unfolding quickly. The EOS-1D Mark IV also includes updated Picture Styles and the first ever integration of ALO (Auto Lighting Optimizer) in a professional EOS body, automatically correcting the contrast and brightness of images as they are recorded. These features combine to provide a faster workflow for those requiring press-ready images direct from the camera without the need for retouching, enabling photographers to concentrate solely on capturing that once-in-a-lifetime shot. Full compatibility with the latest UDMA 6 standard Flash memory cards also ensures that image data is rapidly written to the EOS-1D Mark IV’s CF memory card. In addition, the flexibility to also record to a Secure Digital/SDHC memory card allows photographers to keep shooting for longer until they get the shot they need. The EOS-1D Mark IV also delivers extreme low-light performance. Standard ISO on the EOS-1D Mark IV ranges from 100-12,800, while extended ISO ranges from a low of 50 to 102,400 – the highest ISO ever offered by a Canon SLR. This extreme low-light performance makes the EOS-1D Mark IV ideal for night shots or shooting at evening events, where the lack of light would normally make shooting impossible. Intelligent noise reduction techniques keep chroma and luminance noise to a minimum, while maintaining colour balance, but never take control of the overall image quality away from the photographer. The architecture of the new 16.1MP APS-H CMOS sensor, featuring gapless microlenses with less surrounding circuitry and more sensitive, high-capacity photodiodes, also ensures that all available light is used as efficiently as possible to maximise ISO performance in low light conditions. Light for its category, the EOS-1D Mark IV features a full magnesium alloy body, providing protection against knocks and bumps. The EOS-1D Mark IV has also been the subject of some subtle ergonomic redesigns, with the buttons reshaped and given a more defined ‘click’ when pressed, to make life easier for photographers operating in more extreme weather conditions where gloves may be necessary. The EOS-1D Mark IV is protected by a total of 76 rubber seals fitted around the controls and cover seams, making the Canon EOS-1D Mark IV dust and water resistant when used in tandem with Canon’s range of weather-resistant EF lenses and Speedlite EX flash units. The 920,000 dot, VGA resolution, Clear View II LCD makes it easy to instantly review images and video in the most challenging conditions. By filling the gap between the LCD panel and the protective cover screen with a photo-elastic material, Canon has been able to reduce light reflection, resulting in the clear display of images. The previously acrylic cover has also been replaced by reinforced glass, providing strong, scratch-resistant protection for the screen. The EOS-1D Mark IV also features the EOS integrated cleaning system, which automatically eliminates dust on the sensor – ensuring reliable image quality when shooting in testing outdoor environments. In addition to providing high-quality still image performance, the Canon EOS-1D Mark IV features EOS Movie function, providing the ability to capture 1080p High Definition (HD) video at 30, 25 and 24fps and 720p footage at 60 and 50fps. As well as complete compatibility with PAL, NTSC and native 1080/24p cinematic frame rates, the EOS-1D Mark IV offers full manual exposure, providing film makers and photographers with control over depth of field. The EOS-1D Mark IV features a programmable button to enable quick movie shooting, allowing photographers to record HD video instantly at the touch of a single button. The EOS-1D Mark IV also features a mini HDMI output, enabling video and images to be viewed directly on compatible HD-ready TVs. Advanced customisation to suit you. Canon’s EOS-1D Mark IV is highly customisable, allowing photographers to take complete control of the camera’s features. Auto Exposure (AE) and Flash Exposure (FE) micro-adjustments allow photographers to fine tune the exposure for any given purpose, enabling them to perfectly match two separate cameras for consistent results or simply adjust the settings to meet specific personal requirements and tastes. 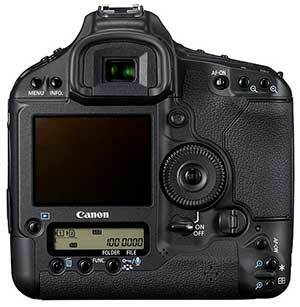 Preferred user profiles can also be stored to memory card and subsequently transferred to other EOS-1D Mark IV bodies, so that photographers can seamlessly transfer their profile to another body if required. Further customisable features include the ability to add copyright information directly in the camera. This enables photographers to embed their details within each shot as standard, removing the need for retrospective data insertion, and allowing news photographers to get shots to picture desks in the shortest time possible. An integrated microphone also allows the recording of audio notes to accompany each image, which will directly benefit photographers who wish to keep a record of the content of each image as they shoot. Designed by Canon and working in combination with the company’s DIGIC processors, Canon’s CMOS technology integrates advanced noise reduction circuitry at each pixel site delivering virtually noise-free images. In comparison with CCD technology, the lower power consumption characteristics of Canon’s CMOS sensors also contribute to longer battery life. The architecture of the EOS-1D Mark IV sensor has been refined in order to derive maximum light efficiency and natural colour reproduction. Despite a smaller pixel size, optimised, more sensitive photodiodes, with higher signal to noise (S/N) ratios and larger capacities, allow more optical information to be gathered and transferred to the Dual DIGIC4 processors. This enables high ISO speeds, low noise, and a wide dynamic range to be achieved. AI Servo AF uses a form of Artificial Intelligence (AI) to determine the speed and direction of moving subjects, then focuses the camera lens to a predicted position (Focus Prediction Function) in order to increase the probability of obtaining a sharp photograph. Realising the importance of AI Servo in today’s high speed cameras, the EOS-1D Mark IV autofocus system has been improved and is capable of accurately tracking a variety of subjects travelling at a variety of different speeds and distances. Tracking and focusing on macro subjects has been enabled through faster processing. The following AF features have been improved with AI Servo II: Stable lens drive: In normal operation, the AI Servo algorithm makes calculations, and based on these results, instructs the lens to change focus position. Now, if the algorithm gets two results one after the other that are very different – for example, the subject changed direction rapidly and was not where the system expected it to be – this calculation is ignored and the system waits to instruct the lens until two results match. This means that errors generated no longer cause the lens to jump unexpectedly out of focus. Secure focus tracking of a subject: If an obstacle is detected or if the AF point is not kept over the subject, tracking continues based on the last known trajectory result immediately before the interruption. Moderate lens drive: If there is a radical change in focus distance, the lens is not driven straight to that value. It is slowly taken there based on past prediction results. This means that if a photographer drifts off the subject to the background for an extended period of time, the lens will not snap focus straight to the background. This in turn means that if the photographer gets the AF point back onto the subject that the lens is able to achieve sharp focus much more quickly. Predictive control with quick response: The system is now able to achieve predictive focus immediately as the subject starts moving and there is no delay before it can start tracking. Image information is processed by Canon’s Dual DIGIC4 processors, purpose-built to complement the 16.1 MP CMOS sensor. The power of Dual DIGIC4 enables more advanced processing algorithms to ensure precise, natural colours, accurate white balance and advanced noise reduction, as well as in-camera editing of EOS Movie clips filmed in full HD. The ultra-fast processing speeds raise the overall response rate of the camera operation and produce near-instant start-up times. 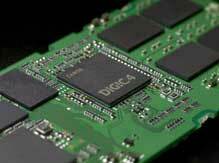 DIGIC chips work with a high speed DDR-SDRAM image buffer – reading, processing, compressing and writing image data fast enough to keep the buffer clear during long continuous shooting bursts. The buffer of the EOS-1D Mark IV’s Dual DIGIC4 processors has also been increased to support continuous bursts of up to 121 large JPEGs or 28 RAW files at 10fps, at full-resolution. In addition, as DIGIC 4 integrates all key processing functions, power consumption is kept to a minimum. Working in tandem with Canon’s CMOS sensor, DIGIC 4 removes the highly-noticeable colour noise, as well as reducing luminance noise without loss in detail, allowing for very clean, high ISO images. Even at ISO 6400, noise levels are similar to those of ISO 1600 from DIGIC III. The Dual DIGIC4 processors also support M-RAW and S-RAW image formats, commonly used by news desks, to maintain the benefit of RAW files whilst reducing file size. EOS-1D Mark IV’s 3-inch LCD monitor has 920,000 dots (VGA resolution) with a viewing angle of 160°. Clear View II has been designed to combat glare by removing the air gap between the LCD’s protective cover and the liquid crystal display. The air gap is filled with a photo-elastic material. This suppresses the reflections from the surface of the liquid crystal, caused by the sharp change in refractive index as light travels through the air gap. The EOS Movie function allows EOS-1D Mark IV users to record 1080p HD movies with full manual control and selectable frame rates. Thanks to the large size of the integrated CMOS sensor (28.1×18.7mm), photographers have greater ability to control depth of field. The exposure of the movie can be controlled in Manual mode, allowing full control of shutter speeds and apertures. It is possible to select frame rates from: 30 (29.97), 25, and 24 (23.976), with 60 (59.94) and 50 available at resolutions of 720p. Program mode also allows photographers to easily shoot HD video without worrying about exposure settings– ideal when needing to capture split-second action as it unfolds. With the EOS-1D Mark IV, the Picture Style presets feature greater sharpening (for all presets excluding Faithful and Neutral), giving the photographer press-ready files straight from the camera. The Auto Lighting Optimizer (ALO) automatically corrects the image brightness and contrast for images suffering from underexposure, low contrast, or backlit situations, assisted by face detection technology. With DIGIC 4’s low-noise image processing and corrective algorithm, the correction is performed without affecting the natural gradation. Standard, Low, Strong, or Disable settings can be set and applied to the image. With the EOS-1D Mark IV, the Auto Lighting Optimizer now works with manual exposure and bulb shooting. The correction is based on the exposure set by the user and is especially effective for backlit conditions when the subject looks dark. Typically, if the exposure is brightened for the subject, the background becomes overexposed. However, with the Auto Lighting Optimizer set and the picture taken so that the background is not overexposed, both the subject and background can be favorably exposed. Digital Photo Professional supports sRGB, Adobe RGB, ColourMatch RGB, Apple RGB and Wide Gamut RGB colour spaces. ICC (International Colour Consortium) profiles can be attached to TIFF or JPEG images when converted from RAW. This allows faithful reproduction of colours in software applications that support ICC profiles, such as Adobe Photoshop. For improved efficiency, a set of image adjustments can be saved as a recipe and applied. Picture Style Editor allows photographers to create individual Picture Styles that meet their personal requirements. Each Picture Style contains detailed information on how specific colours should be represented within an image. Once new Picture Styles have been created, they can be uploaded directly into the camera and applied to JPEG or RAW images. When working with RAW files in DPP, both personal Picture Styles and predetermined Picture Styles can all be adjusted. The crowning achievement of Canon’s 1D Mark IV Digital SLR is its new autofocus system that starts with 45 AF points including 39 high-precision cross-type focusing points capable of tracking fast moving athletes or wildlife accurately at speeds up to 10 frames per second. With greater subject detection capability than ever before plus a newly redesigned AI Servo II AF predictive focusing algorithm, the Canon EOS-1D Mark IV camera sets new standards for autofocus performance among professional digital SLRs. Whether shooting for the six o’clock news or the front page, the EOS-1D Mark IV Digital SLR is the quintessential camera to freeze fast-moving action with high-speed stills or capture stunning HD video with dynamic colour and image quality. To accompany the new EOS-1D Mark IV Digital SLR camera, Canon is also announcing a new accessory, the WFT-E2 II A wireless file transmitter providing photographers with a wide range of professional digital connectivity options. The new EOS-1D Mark IV Digital SLR camera features Canon’s most advanced Autofocus system to date. It is equipped with a newly developed 45-point AF sensor featuring 39 high-precision cross-type AF points, and an all new AI Servo II AF mode that gives still photographers the power and performance to track and focus a fast-moving subject at speeds up to 10 frames per second. With more than twice as many cross-type focusing points as the EOS-1D Mark III and a new AF sensor construction that improves performance in low light and with low contrast subjects, the EOS-1D Mark IV has greater subject detection capabilities than any previous EOS model. To complete the range of AF improvements, Canon has developed a new AI Servo II AF predictive focusing algorithm that significantly improves responsiveness and stability by making better decisions on focus tracking in a variety of shooting conditions. Over the past year, Canon’s EOS HD Video technology has changed the way users capture 1080p HD video and opened new doors for multimedia journalists and Hollywood cinematographers alike with full manual exposure control, selectable frame rates, and interchangeable lenses on some of the largest and most sensitive image sensors on the market. Canon continues this innovation trend with the new EOS-1D Mark IV Digital SLR with Full HD capture and full manual exposure control, plus selectable frame rates on an all-new APS-H-sized image sensor that’s similar in size to a Super 35mm motion picture film frame. The large sensor allows filmmakers to achieve shallow depth-of-field just as cinematographers have traditionally done using much higher-cost motion picture equipment. The heart of the EOS-1D Mark IV camera’s outstanding image quality is a newly developed 16.1-Megapixel CMOS sensor featuring Canon’s latest and most advanced proprietary technologies. These technologies include improved photodiode construction to enhance dynamic range and gapless microlenses that are positioned closer to the photodiodes for improved light gathering efficiency. The transmissive quality of the colour filter array has been enhanced to improve sensitivity. 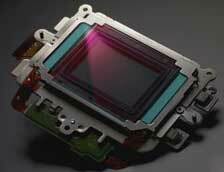 Canon has also upgraded the sensor circuitry to improve noise reduction before the image data is exported from the CMOS sensor to the rest of the image processing chain. The 14-bit per channel conversion facilitated by the dual DIGIC 4 Processors provides smoother tonalities in final images capturing all 16,384 distinct tones in each channel (red, green and blue) at the full 10 fps frame rate. RAW images shot on the new Canon EOS-1D Mark IV use the entire 14-bit space when converted to 16-bit TIFF files in Canon Digital Photo Professional (DPP) software, which is supplied with the camera at no extra charge. The 14-bit A/D conversion is also the foundation for Canon’s Highlight Tone Priority feature that takes maximum advantage of the camera’s extensive dynamic range to preserve detail in highlight areas of the image. Canon’s new EOS-1D Mark IV Digital SLR also features an improved white balance algorithm making colours more accurate when shooting under low colour temperature light sources such as household tungsten lamps. Other new features include a large three-inch solid structure Clear View II LCD screen with 920,000 dot/VGA resolution and a wide 160-degree viewing angle for enhanced clarity and more precise colour when reviewing images and shooting video. The new in-camera copyright information feature helps professionals secure control over images by setting copyright data directly into the camera and appending that information to each image file in the Exif metadata. Additional features include a fluorine coating on the Low Pass Filter to further repel dust and enhance the EOS Integrated Cleaning System. Action photography truly is all about speed, capturing a fast subject with fast focusing and fast frame rates. However, all this speed might be wasted if it is slowed down by lengthy post-production procedures to adjust image quality. The EOS-1D Mark IV Digital SLR helps reduce post-production work with a powerful new Auto Lighting Optimizer (ALO) system. When enabled, Canon’s ALO automatically adjusts the image for optimal brightness and contrast on the fly during in-camera image processing, reducing clipped highlights while keeping shadowed areas as clear and detailed as they actually appear. By optimizing brightness and contrast in-camera, Canon’s ALO system significantly reduces the need for post-production image optimization, and gives photographers image quality they can take directly to press. Demanding professional photographers who tested ALO clearly stated that this one feature will reduce their post-production image optimization process by more than 75 percent. Canon’s ALO works with both RAWi and JPEG images as well as video recording. 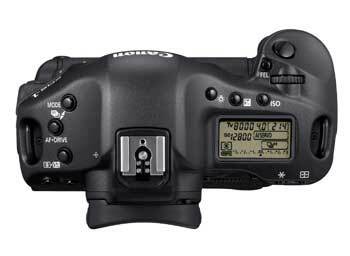 The Canon EOS-1D Mark IV Digital SLR camera is scheduled to be delivered to U.S. dealers in late December, and will be sold in a body-only configuration at an estimated retail price of $4,999.00ii. Final pricing and availability for the Canon WFT-E2 II A wireless file transmitter will be available later this year. With an incredible ISO range from 100 – 12800, expandable to a low of 50 and high of 102400, this EOS professional 1-series camera achieves incredible performance in low-light conditions. Combined with a stunning 10fps and ability to capture up to 120 shots in a single continuous burst, and FULL HD movie recording, the new Canon EOS 1D Mark IV delivers professional photographers with the performance to meet any challenge. ** Prices are for body only and do not include lenses. Kit prices for SLR cameras with lenses are also available, please contact your nearest Canon dealer for more information. *** All pricing indications are recommendations and are intended for guidance only. Dealers are not obliged to comply with recommended pricing. Please contact your nearest Canon dealer for specific pricing, product and inclusion information. **** Available at selected Canon resellers nationally. The WFT Server takes full advantage of Java-enabled internet browsers, providing more opportunities for photographers to change camera settings like ISO, focus, aperture and shutter speed, from a computer or portable wireless device such as a PDA or smartphone. This allows photographers to control their cameras whilst on the move or when in remote areas where carrying a computer may be impractical. One camera can be accessed from up to three different computers or mobile devices, allowing photographers convenient and flexible remote control over their photography. The WFT-E2 II and WFT-E4 II will be available from December 2009. 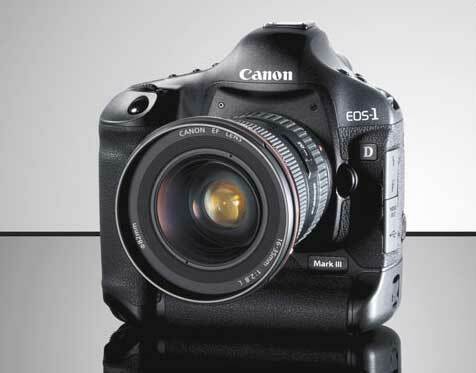 At launch, firmware updates for the EOS 5D Mark II (for the WFT-E4 II), EOS-1D Mark III and EOS-1Ds Mark III (for the WFT-E2 II) will be made available via the Canon Europe website. Whilst waiting for new cameras, I’ve just finished a review of the rather useful DSLRRemotePro camera remote control software for several Canon EOS cameras. The new version now runs on Apple Macs too. 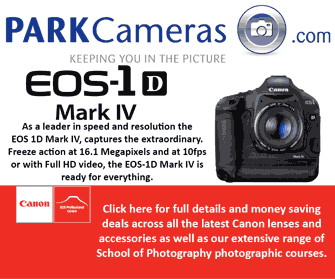 UK PRCanon today sets new standards for professional photography with the launch of the EOS-1D Mark III. Delivering 10 frames per second at 10.1 Megapixels for a maximum burst of 110 Large JPEG images (30 in RAW), the EOS-1D Mark III replaces the EOS-1D Mark II N as the world’s fastest digital SLR. Dual “DIGIC III” processors drive the camera’s high speed, high resolution performance, and bring 14-bit image processing to the EOS series for the first time. A ground-up redesign introduces a host of new features and advancements to Canon’s flagship EOS-1 series, including a 3.0” LCD with Live View mode, EOS Integrated Cleaning System, new auto focus system with 19 cross-type sensors, and 63-zone exposure metering. The camera’s APS-H size (28.1 x 18.7 mm) CMOS sensor enables a wider 100-3200 ISO range as standard, expandable to L:50 and H:6400.